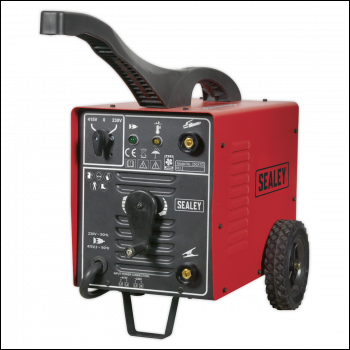 Super-Duty arc welder offering dual voltage input, allowing use on single phase 230V input up to the maximum that can be achieved on a 30Amp power supply. Higher performance can then be achieved by switching to 415V and connecting to an appropriate supply. Please consult an electrician. Supplied with a full set of accessories including electrode holder, earth clamp and chipping hammer/wire brush. 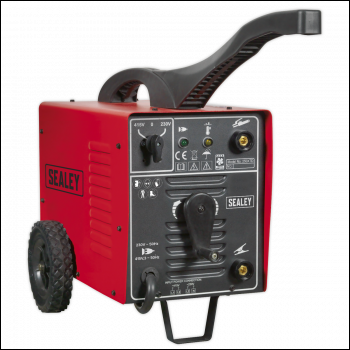 Super-Duty arc welder offering dual voltage input, allowing use on single phase 230V input up to the maximum that can be achieved on a 30Amp power supply. Higher performance can then be achieved by switching to 415V and connecting to an appropriate supply. Supplied with a full set of accessories including electrode holder, earth clamp and chipping hammer/wire brush. Note: *To achieve maximum power a 16A supply may be required. Note: **To achieve maximum power a 32A supply may be required.